Marilyn Waligore, Professor, Visual and Performing Arts / Photography, directs the photography program at the University of Texas at Dallas. Waligore received an MFA degree from the University of Wisconsin-Madison and undergraduate degrees in Art and in English from the University of California-Berkeley. She has exhibited internationally-- Hong Kong, Spain, Italy, Sweden, Thailand--and in venues such as: SIGGRAPH, Los Angeles, California, the New York Digital Salon, School of Visual Arts, NYC, Center for Photography at Woodstock, New York, the Silver Eye Center for Photography, Pittsburgh, Pennsylvania, the Houston Center for Photography, Houston, Texas, the Los Angeles Center for Digital Art, Los Angeles, California, the Dayton Art Institute, Dayton, Ohio, Artspace 111 Gallery, Fort Worth, Texas, R02 Gallery, Dallas, Texas, and in Austin, Texas at the Laguna Gloria Art Museum, Women & Their Work, and in the Texas Biennial, at the Mexican American Cultural Center. Her awards and honors include: Ohio Arts Council Artist Fellowship, Visual Arts; Arts Midwest/ National Endowment of the Arts Regional Visual Arts Fellowship, Photography; and Moss/Chumley North Texas Artist Award, Photography and New Genres. Her work is included in museum collections such as the Philadelphia Museum of Art and the Museum of Fine Arts, Houston. Her articles have appeared in Leonardo (“Artist-Sorceress / Photography and Digital Metamorphosis”) and Photography Quarterly, (Digital Sorcery: Subversion and Enchantment”) and she has curated numerous group exhibitions, with an emphasis on digital media and photography. 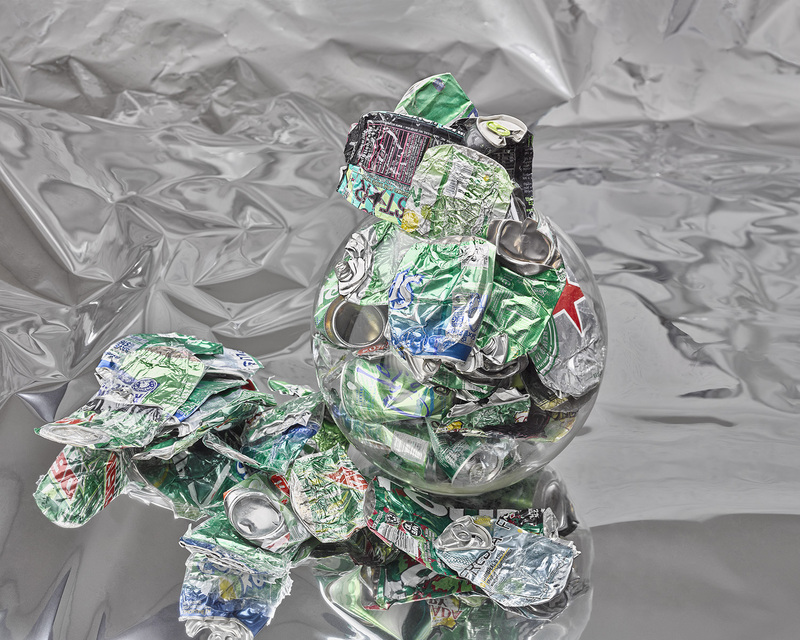 "Ultimately, I am drawn to the concept of how we assign value to objects and how that process fluctuates over time. A consumer economy is dependent upon the constant need for the purchase of goods. In order to acquire new products, the used, obsolete, outdated objects must be discarded; we seek to remove them from our everyday lives, our personal space, our visual field." © 2018 Marilyn Waligore. All rights reserved.